When I did my PhD on girls’ school and college novels back in the 1990s, it was very hard to find other people who took the books seriously. Now I am in touch, online and off, with many readers and collectors of old-fashioned children’s books – from the classic to the ephemeral, and meet up with them every two years at a wonderful conference in Bristol. How things have changed in the last twenty years. And social change is at the heart of today’s post. One of these readers and collectors is Kay Clifford, who’s widely known to be the authority on the career novels which were popular after World War 2 – among the earliest YA fiction, you might say, since they were aimed at the teen reader thinking of her future. Kay’s talks at the Bristol conference are always informative and highly entertaining, so when I read that she was launching her book Career Novels for Girls (Mirfield Press, 2018) I knew I could expect a treat. 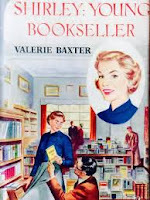 Little has been written about career novels, and when I started reading Kay’s book – which is every bit as informative and hilarious as her talks – I thought readers of this blog might like to know about this once booming area of children’s literature. As Kay repeats often in her book, they are fascinating documents of social change, and tell us a great deal about the attitudes of their times. 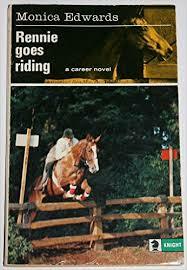 Those lovely career books of the 40s and 50s with their alliterative titles: Rennie Goes Riding; Cookery Kate; Shirley: Sales Assistant; Chris at the Kennels. If you were named Ann, you could aspire to be Air Hostess Ann. Except that you had to be Grammar School educated (which immediately narrowed the field), stand over 5’2”, weigh between 105lbs and 135lbs and understood that you’d be sacked as soon as you got married. And, of course, every girl expected to get married, didn’t she? A career was only for those years between leaving School and Finding A Man. 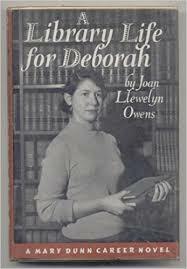 So most of us, in spite of those glorious and uplifting career books, became a Secretary or a Nurse. Or a Teacher if you were clever. Or even a Librarian if you were really clever (for a girl, that is). Some of us, reading those Bodley Head or Chatto & Windus career books yearned to be a Ship’s Officer, or a farmer, or the Captain of a Ship, or drive cars while our husbands did the housework (yes, there is one book – but only one book – where this happens) but we didn’t and couldn’t. It would be 40 years before Eileen Nolan would be an Army Brigadier, and another 50 years before entry into Medical Schools would be 50% female. But these books opened gates and gave us the right information. They explained how to be an Almoner, how to be an Occupational Therapist, how to be a Physiotherapist. They gave us dreams and aspirations which we may not have been able to satisfy in the 50s and 60s, but we could pass those dreams and aspirations on to our daughters and our grand-daughters. And today we can read and revel in these books. The social detail. The man of the house coming home at 5 o’clock and sitting down immediately at the table as his evening meal is put before him. Meat and two veg of course. Girls wearing gloves and hats when attending for their interviews. Fathers having the final say-so as to whether the job is suitable or not. A vanished world. But with invaluable social information. A by-gone world. A snapshot in time of the 1940s and the 1950s. I’d really recommend Kay’s book to anyone interested in mid-twentieth-century children’s literature and/or social history. I’m no expert on careers novels, but I found this book an entertaining, wry, and informative insight into the worlds of our mothers and our grandmothers. Fascinating! I'd never heard of these book before. 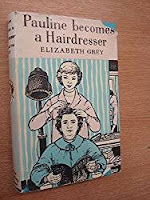 A real resource - showing what actually faced would-be career women, rather than the rose-tinted pretences of nostalgia. I'm always grateful to women like my rebel mum (she raised herself to become secretary to Cunard captains) who blazed the trail for my generation's expectations of a career. 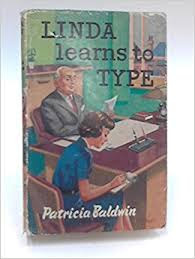 I wish I'd kept the textbook I used to learn to touch type in the early 80s (to become a journalist, despite mick takes from everyone about a secretarial future). Full of advice about what my male bosses would expect of me. Funnily enough, it's only this century I've ever had a female employer. As another regular Bristol Conference attender, I second your remarks about its brilliance - and have many times enjoyed Kay's wonderful style and wry humour. I am only part-way through my copy of her book, but as I read it I can hear her voice - 'so that's all right, isn't it?'! Monica Edwards! She wrote those books set on Romney Marsh! Such an interesting post, Sheena! I wonder how many girls were inspired by their reading to go for one of those careers...? I would be very interested to read this but I can't source a copy. The local bookshop can't find it either. Any suggestions? Fascinating! When is your conference held usually? I'm not far away and it sounds great. 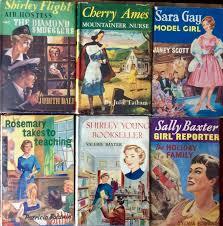 Books were scarce in our house so I used to read anything I could lay my hands on, including Sarah Gay novels. Didn't realise there was a whole genre. Thank you for sharing. I'm so glad to have come upon your post; I've been collecting career romance novels for about two decades, although my focus is on the American series (Dodd Mead, Messner) since that's where I am. Although I do have some of the British series, most of which I've had shipped to the U.S. from New Zealand! Can you tell me, is the Bristol conference focused solely on the British series, or does the scope expand to the American series as well?